The Slovenia Coast is small but charming with a nature park, salt pans and historical towns. 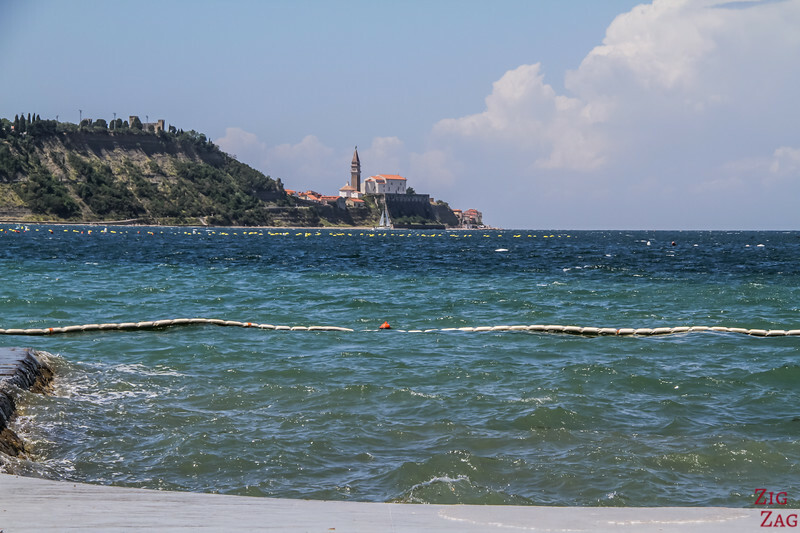 In this guide of the Istria Coast, I am sharing my favorite things to do in Piran and also what to do around the coast: Portoroz, Izola, Koper... Happy planning! For those looking for a short answer, below is my selection of the top things to do in Piran and the coast. You can find photos and more information about each activity (as well as many others) further in the article. The region of Istria (Slovenia) is located at the meeting point of the Karst area and the sea. The region includes the Slovenia coastline, which is only 47km (29mi) long. 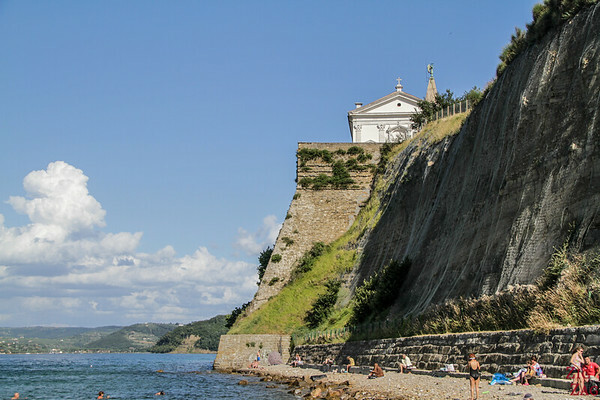 It opens to the Adriatic sea, part of the meditarrean, east of Italy. There are not many beaches, and not much natural sand. But the coast offers a nature reserve and charming towns with long history. Here is a simple map to help you locate the small coastal area in the whole of Slovenia. It is close to the town of Trieste, Italy and only 1h30 from Ljubljana. These locations, along with many other beautiful places, are included in my eBook: The Road Trip Guide-Slovenia. 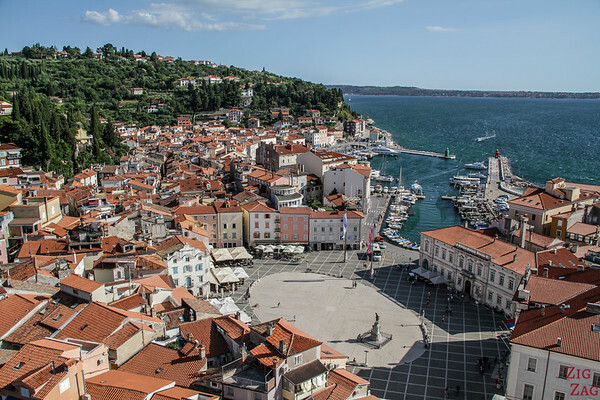 If your holidays are based in Ljubljana and you don't want to drive, you can also book a day trip to Piran and the coast. Getting around the coast is quite easy. There are frequent buses between the towns or you can easily drive. I used the taxi one and I think I paid 20 euros from Piran to Koper. 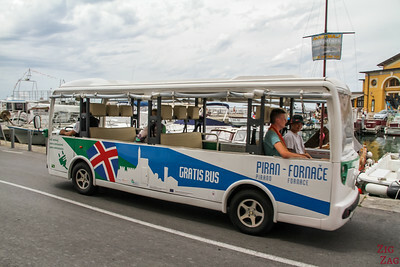 However note that access to the foritifed town of Piran is limited. There is just one road and no places to park. 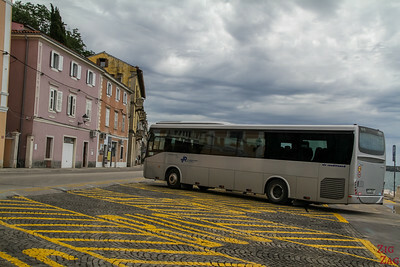 You have to park in the multi-level carpark just outside and hop on the free shuttle that takes you to the center, near Tartini square. 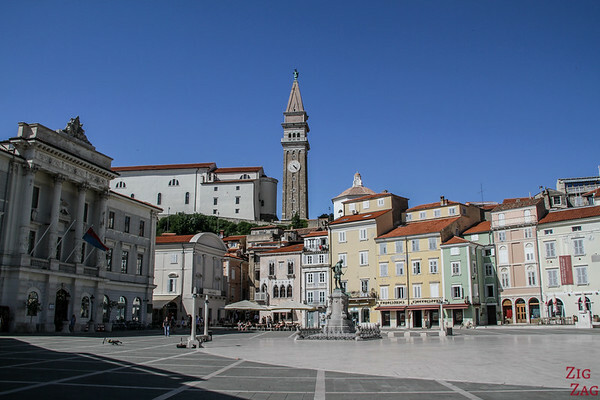 Let's start with the things to do in the town of Piran itself: what to see and the places to visit. 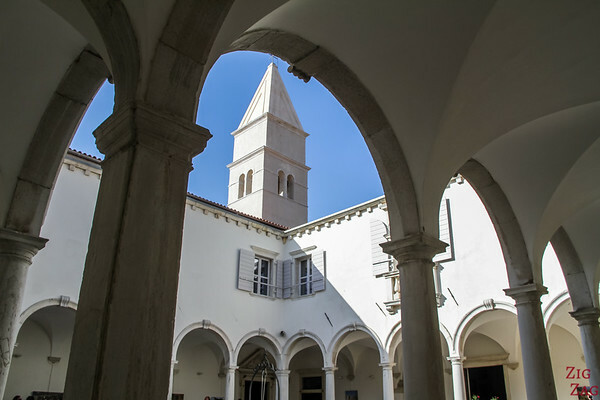 What to do in Piran ? Let's start at the central square, called Tartini after the famous musician from the region (learn more about Guiseppe Tartini here). It is a charming oval shaped square that used to be a bassin. It is surrounded by beautiful houses and the clock tower on one side and the port on the other. This is where all begins, where the shuttle drops you and where the visitor center is located. They have a great map with Different walks in Piran and in the region. Piran is just a wonderful town to just walk the narrow streets and the seaside. A lot of charming buildings and small churches are hidden on the peninsula. So spend to time strolling and appreciating the cool vibes of the town. I know a lot of people are interested in beaches when traveling, but the Slovenia coast does not really have proper beaches. They have small stretches of land near water. 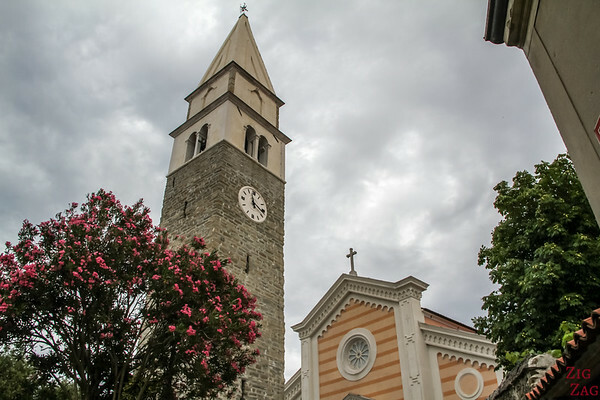 The Piran Church of St George, also called the Piran Cathedral, overlooks the town offers views of 3 countries: Slovenia, Croatia and Italy. 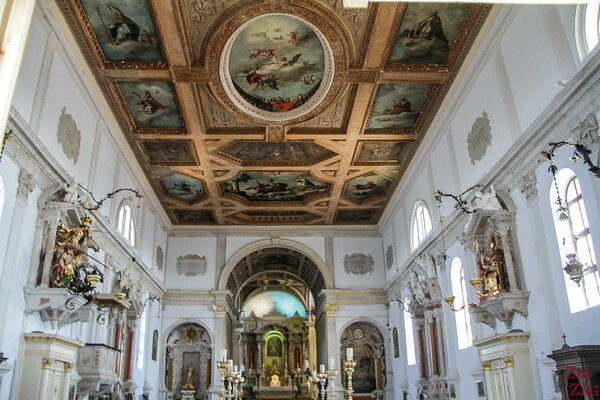 It was built to its present size in the 14th century and renovated into Baroque style in the 17th century. Next to the church is the bell tower. It has a beautiful shaped and can be visited for a small fee. However the view from the top is amazing as you are in the town and can see all the roofs and the details of the monuments. Hidden in the streets between Tartini square and the walls, the small minorite Monastery is charming. It is a popular venue for musical events due to the superb acoustics of the cloister and the church. 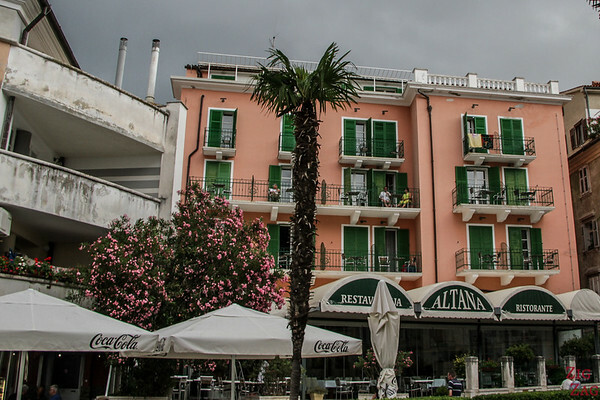 It was one of my favorite places to visit in Piran. Loved the ambience. I love it when there is a viewpoint to see a town. In Piran you can climb on the fortification walls. 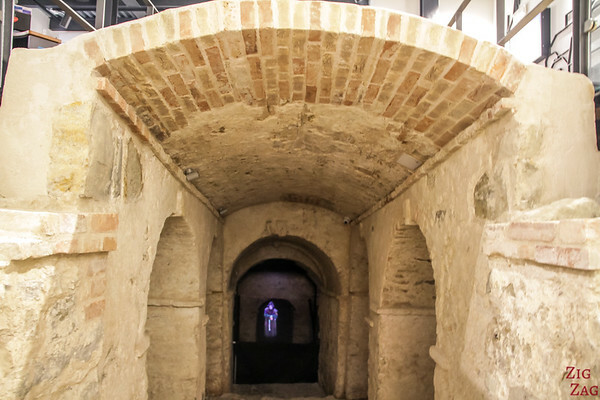 Mediadom Pyrhani is a small museum with interactive displays and a short 3D movie to learn more about the history of Piran and the salt pans that helped develop its economy. I think it is a great place to start to understand better Piran when you visit it. 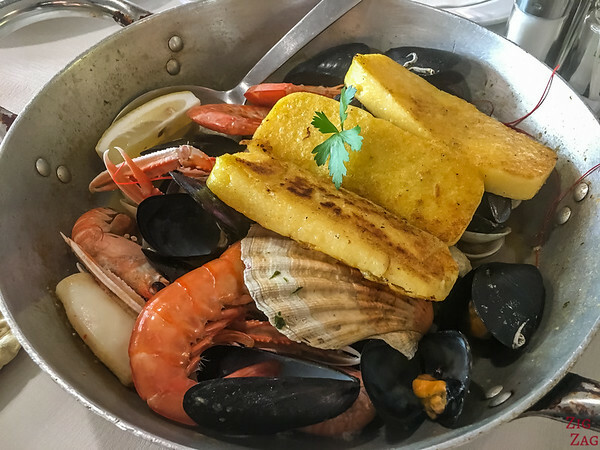 Piran has a lot of great restaurants serving great sea food and fish. Beware that the portions are huge! 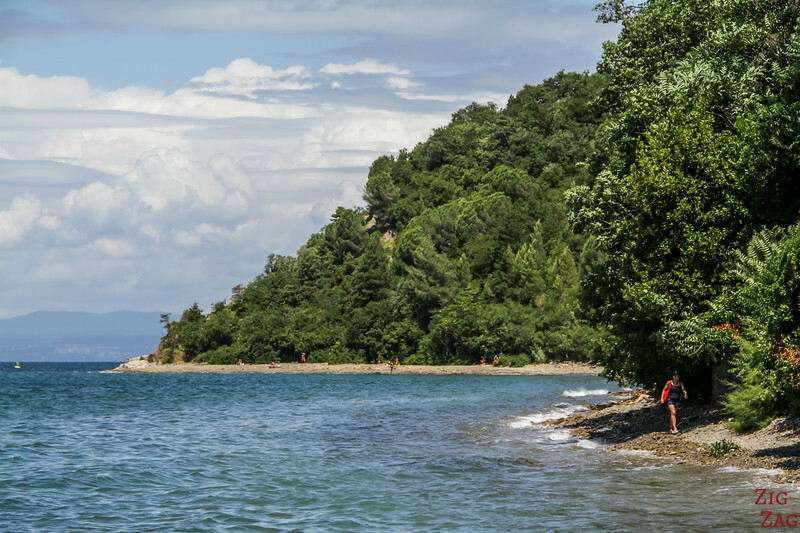 The Strunjan Nature Park is another smaller peninsula on the Slovenia Coast. It has been protected and became a reserve. It is covered by trees, offers small beaches, as well as salt pans. On top of the hill is the church of the Ascension of the Virgin Mary, the most famous place of pilgrimage in the region. It is a great place to get away from towns and back into nature. 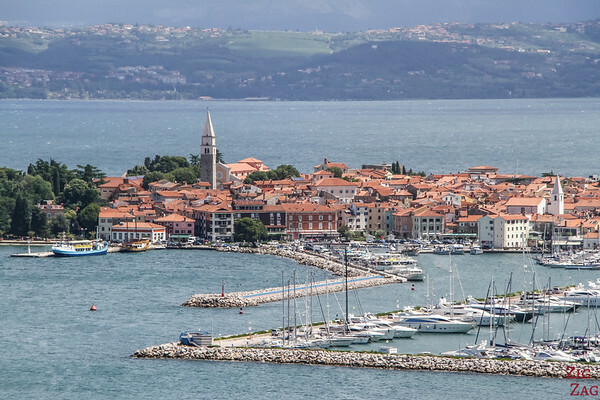 Izola is a charming fishing town on the Slovenia Coast. 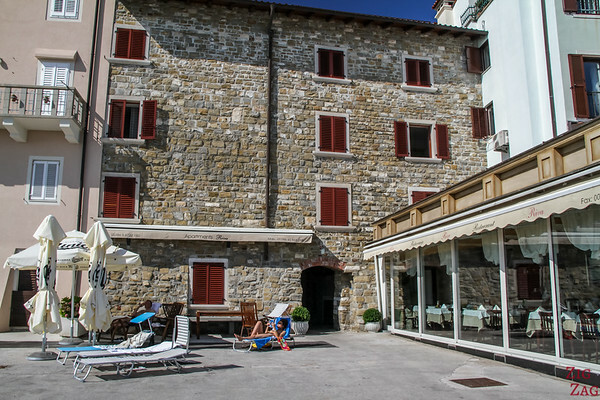 It is a 20min drive from Piran and has a great vibe and good seafood restaurants. 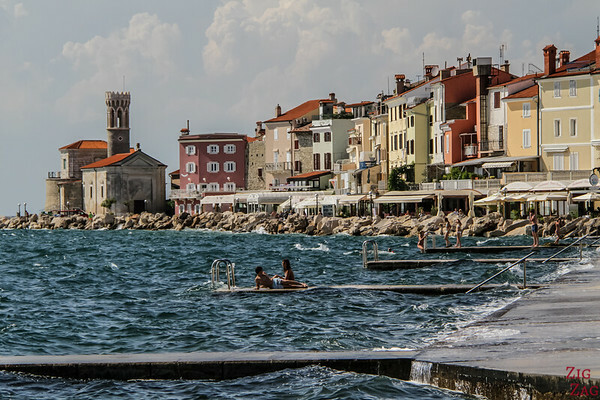 It has a very different vibe from Piran with less aggressive tourism practice and a family-oriented approach. Get to the visitor center and they can recommend a walking circuit. You can get up to the bell tower and enjoy all the narrow streets and fun houses. Once again very small beaches but they seem calmer and more practical when you have kids. They are easy to reach from the marina. 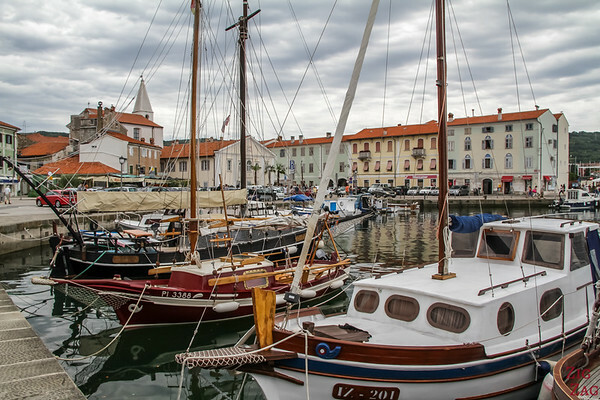 Izola has a long tradition of being a fishing village. You can find beautiful and interesting boats in the Marina which is charming with colorful houses around. 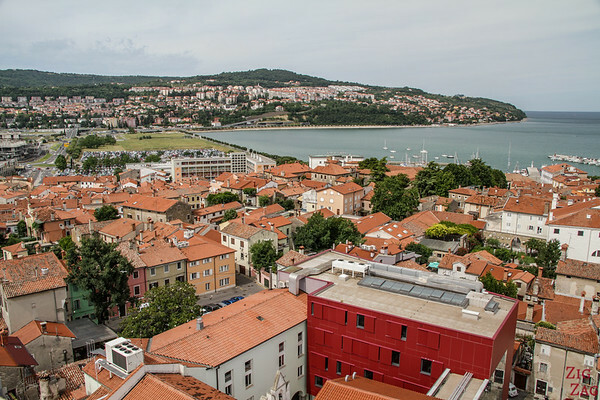 On the hills, close to the road between the main town is a viewpoint where you can admire the former island of Izola with the marina and the bell tower overlooking the houses. Behind you can see the coast of Italy. Koper was my least favorite of the towns. I felt that walking in the narrow streets was not as enjoyable. But it is my personal opinion. However it is a fascinating town from a history standpoint. 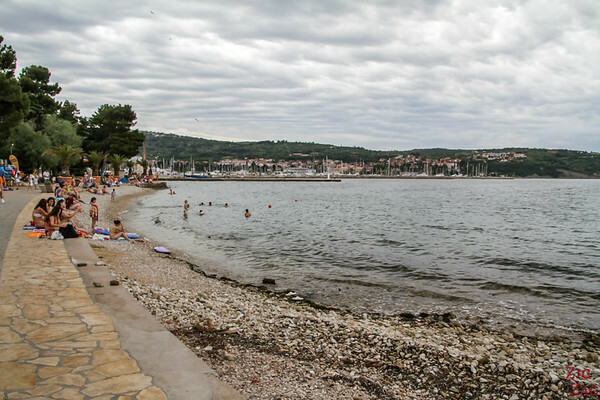 Like Izola, it started as an island and developed by connecting with mainland. Today it is an economic center with the port and a destination for sport tourism. 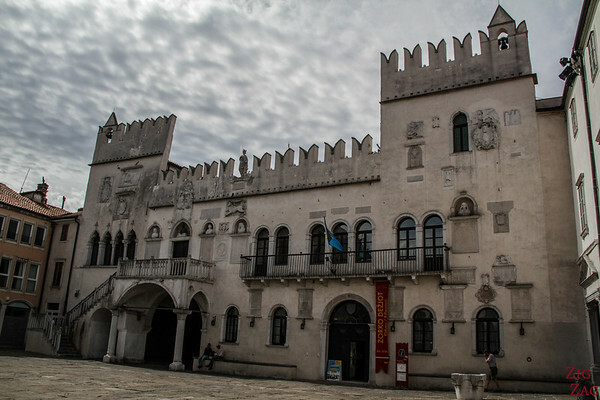 At one point, Koper was a Venitian city and the main monument that represents it is the city hall Paetorian Palace. It is located at the town's central Tito Square. Built in the 15th century, there are limited visits open for tourists. Enquire at the visitor center. On the Tito square, you can also find the Cathedral and its bell tower. For a small fee, you can clim to the top of the bell tower. 204 steps to reach the platform. At the top you have nice views of the town and the port. 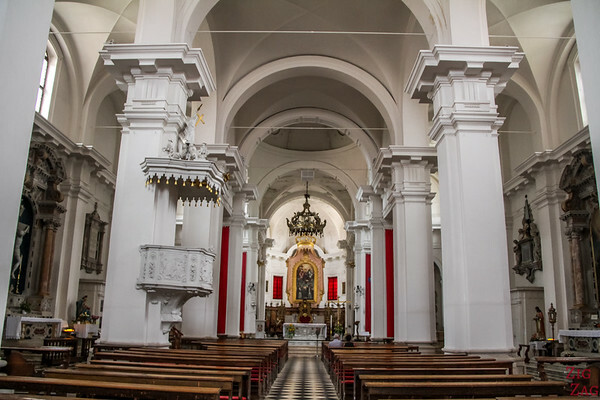 The Cathedral of the Assumption of the Blessed Virgin Mary was built in the 12th century in Romanesque style. But it changed style over the years. It is not heavily decorated inside. Portoroz has been know as a health resort since the 13th century when monks discovered the "healing" properties of the seawater and seamud. 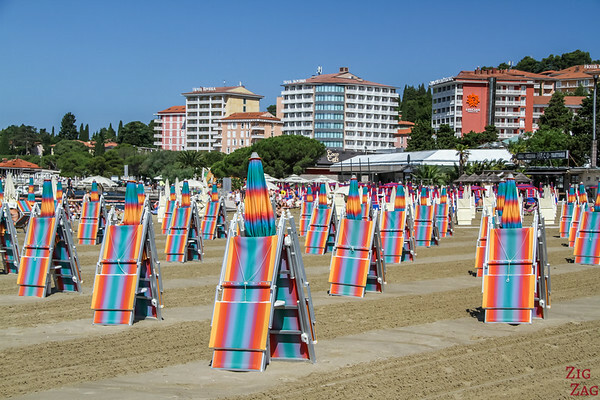 Portoroz has the only large sandy beach in Slovenia. It is very crowded in Summer. 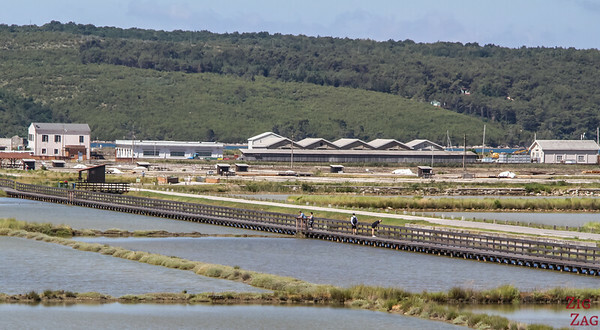 Near Portoroz are the famous salt pans that were the source of the economic development of thee region. These are called the Secovlje Salina Nature park. They are located at the border with Croatia. There are still being used today and can be visited. You can learn more about the salt process and industry as well as discover the specific fauna and flora of the salt pans. There is also a spa with special salt treatments. For cheaper option consider Izola or Koper. 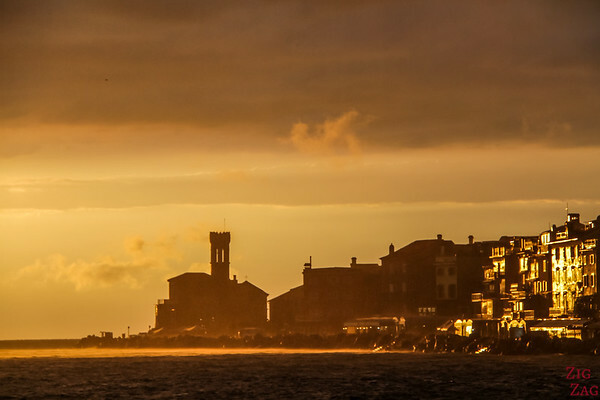 And if you are looking for a Seaside resort with big hotels, sandy beach and shopping, stay in Portoroz. 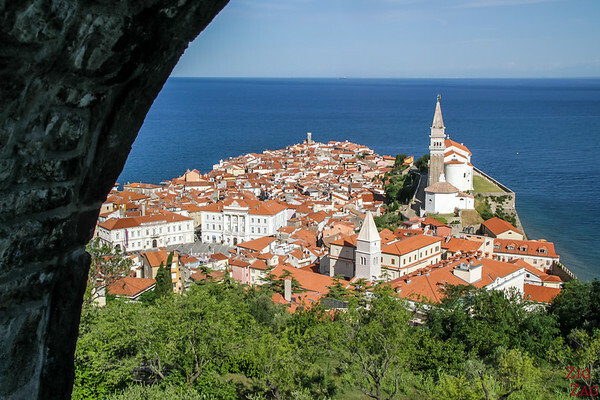 Will you add Piran to your itinerary?